This emerging technology is quickly being adopted by large and small organisations alike. This is the first article in a series that will explore the barriers and challenges that enterprises face as they go through the process of adopting blockchain technology, and provide insight into how ConsenSys can help them along the way. Some important questions for innovative developers and IT managers looking to integrate blockchain technology into enterprise. “Blockchain” is the buzzword on everyone’s lips and, perhaps more importantly, one of the most promising technological innovations in recent memory. The list of industry-leading enterprises building on the blockchain spans tech leaders (Microsoft), financial institutions (JP Morgan, Santander), and even national governments (Singapore, Dubai, Brazil). 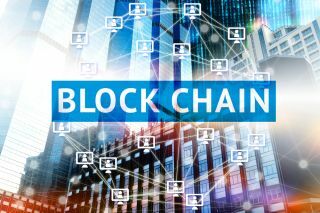 But as with any emerging technology, there are some particular and unique quirks and obstacles that all early adopters will face along the way for which even the savviest business leaders considering blockchain solutions should be prepared. 1. How do you plan blockchain projects that provide the greatest utility? Blockchain technology is still nascent. It is more expensive and time consuming to build a blockchain application than a traditional cloud app in many situations. Successful applications will not only create efficiencies, but also have a sufficient impact on the status quo. That is to say: You have to find the right problem before you can build the right solution. There are use cases that can create incredible value, but it’s important to make sure you’ve selected the right ones to demonstrate the real capabilities of the technology. Before we build anything at ConsenSys, we evaluate the blockchain use case to make sure there is a return on investment. We do this by mapping the business process and use case to specific blockchain capabilities: digital signatures, distributed immutable ledgers, smart contracts, tokenization and decentralized identity. We only pursue applications where we can demonstrate how these basic blockchain building blocks provide significant benefits to an application and solve a real problem. A key element for success is to ideate the future state. What can the business process look like as a decentralized network? Often times, these networks look radically different - and radically better - than the current business processes, with many fewer steps, intermediaries and costs, releasing capital and improving user/customer experience. 2. Which technology should you use? What are the standards? Today, clients tell us there are predominantly two technologies emerging as ‘de facto standards’ for building enterprise blockchain applications: IBM Hyperledger Fabric and Ethereum. At ConsenSys, we build applications on the Ethereum blockchain; both the larger public network, and private Ethereum blockchains. Later in this series we’ll dive further into the differences between Fabric and Ethereum and the distinction between the public Ethereum blockchain and private implementations. 3. How do you put together a blockchain development team? The bad news is that there simply aren’t enough blockchain developers to meet the growing demand. The good news is that the majority of blockchain application development falls in line with typical web development (the blockchain aspects are only a portion of the overall application). However, you’ll still need to have an experienced blockchain architect on your team to guide a project to fruition. At ConsenSys, we’ve developed a program—ConsenSys Academy—to train developers around the world to become blockchain developers. We will make this program available to enterprises in Q4 this year. Later in this series, we’ll talk you through how to build your team, what it takes to become a blockchain developer, and our impending training services for enterprises. 4. What support and services are out there for Enterprise? For enterprises, simply building the app isn’t enough. Applications need to be deployed into production and supported. ConsenSys is focused on providing an ecosystem of support services and products ranging from developer support to system health checks and monitoring. Developer support includes; i) curated knowledge bases for blockchain technology, core components and developer tools ii) community support through forums iii) live support from technical support engineers including break fix. Systems support is offered to ConsenSys Enterprise customers on production systems and is being developed for ConsenSys applications, including Viant.io (our asset track and trace product). 5. What infrastructure is available to build atop? Until recently, developing an enterprise blockchain solution required you to build from the ground up, but that is beginning to change. The Enterprise Ethereum Alliance (EEA), a worldwide consortium of leading organizations from across numerous fields investing in blockchain tech, was formed to tackle these issues. The EEA is building the industry standard, open source, free-to-use blockchain solutions that will be the foundation for businesses going forward. Working groups are looking at legal aspects of blockchains and smart contracts, industry areas such as banking and supply chain, and of course core technology issues such as privacy, permissioning and networking standards. 6. What tech stack and tools should your developers use? We run many hackathons and training programs around the globe. One of the major hurdles we see in the learning curve is the ‘developer stack’. Developers can struggle choosing their tools and configuring their environment optimally. This is an area ConsenSys in particular and others through the ecosystem have focused on. In our series, we will take you through the layers of the blockchain stack and explain how the emerging tools can be integrated into existing development environments and frameworks, such as continuous integration, testing frameworks, automated deployment and dev-ops. Start giving thought to these issues now if you’re considering implementing blockchain at your organization. Stay tuned to hear more about the ConsenSys perspective on each of these pivotal issues. Together we can build your vision of a better way.